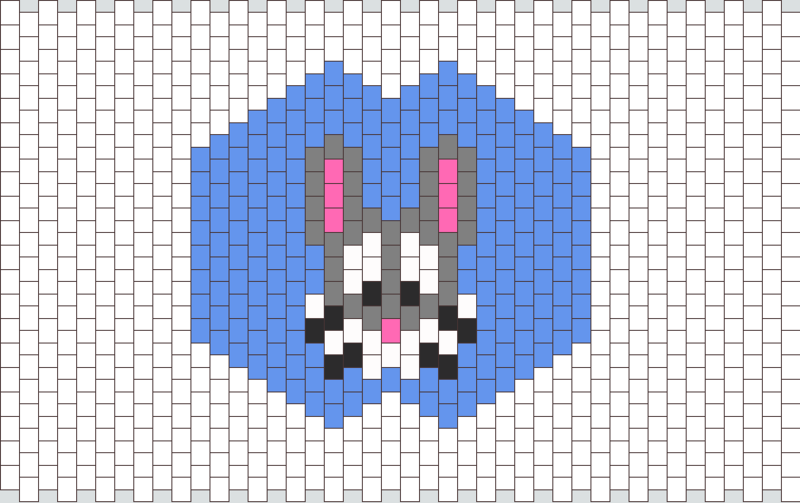 how do you upload the picture you want to create and have it on top of the pattern and if you want it for a seed bead peyote stitch how do you figure out how many rows? Uploading your picture: You have to host it on an image hosting site like http://imgur.com and copy the *direct link* and paste that into the pattern maker. The pic must end in .jpg, .gif, .png etc or it won't work. Placing the pic on top of the pattern: You don't. The idea is that it stays underneath so that you can trace it. It's not possible for it to automatically convert the pic into a pattern. Figuring out how many rows: Do you mean how to figure out what number of rows you need to make it a certain width / height in real life? If so, that depends on the dimensions of the seed bead. You would have to do the math to figure it out. If you want me to explain the math let me know.